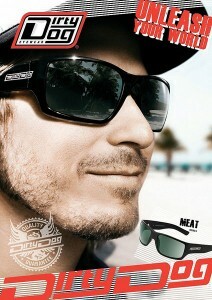 Huge New Selection of Dirty Dog Eyewear From ONLY £59.95! The lenses contain 4 UV filters for optimum UV blockage and are treated with two specially developed hard coatings to make the lenses extremely scratch resistant and prevent the deterioration of lens clarity. This entry was posted in Uncategorized by Vicky. Bookmark the permalink. have always possessed a soft spot for scribbling and a penchant for punctuation, and, after graduating from Cardiff University’s School Of Journalism, I set out to make my written way in the world. My writing repertoire blends research and writing (in English and Welsh) for both TV and Radio, a splash of freelance feature writing, and a stint at the helm of a lifestyle magazine's editorial department. Bowing to demand, I formed Word Has It... in 2011 to provide a one-stop PR, marketing and copywriting shop that specialises in bespoke strategies based on each unique client's demands. Specialities include: Copywriting, digital marketing strategies, content marketing, website content and management, SEO, social media marketing & optimisation, press releases & PR campaigns, marketing material, branding, and pretty much every other 'wordy' way to engage markets, gain leads and boost customer retention!